Mostly sunny. A stray shower or thunderstorm is possible. High 76F. E winds shifting to WSW at 10 to 15 mph..
ELKO – Communities In Schools of Northeastern Nevada is bringing back its annual fundraising event for philanthropic foodies, Chow Down for Caps & Gowns, on May 1. A portion of the day’s sales from participating Elko restaurants will help 2019 high school seniors served by CIS of Northeastern Nevada cover graduation-related costs, including college testing fees, college application fees, and cap and gown rentals. The organization is seeking restaurants to participate in the fundraiser. The current list of participating restaurants includes: Donuts N Mor; Gold Dust West Elko; Blind Onion Pizza; Dreez; Toki Ona; Hunter Ray’s; and Subway. High school graduation, which should be a time of carefree celebration, can prove unrealistically costly for underprivileged students. Graduation-related costs can total over $250 per student, with SAT and ACT testing costing up to $75; non-refundable college application fees ranging from $45 to $75; and cap and gown rentals costing as much as $85. Additional costs include clothing for job and admissions interviews. For more information on CIS of Northeastern Nevada and a current list of Chow Down for Caps & Gowns’ participating restaurants, guests can visit www.cisnevada.org/events. For any restaurants who would like more information on the event, please email Sarah Goicoechea at sarah@cisnevada.org. 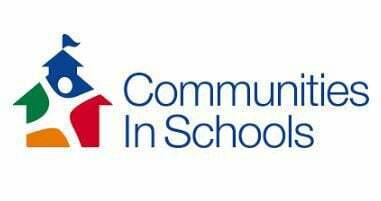 Communities In Schools of Nevada announces Tami Hance-Lehr as the new chief executive officer, effective immediately.